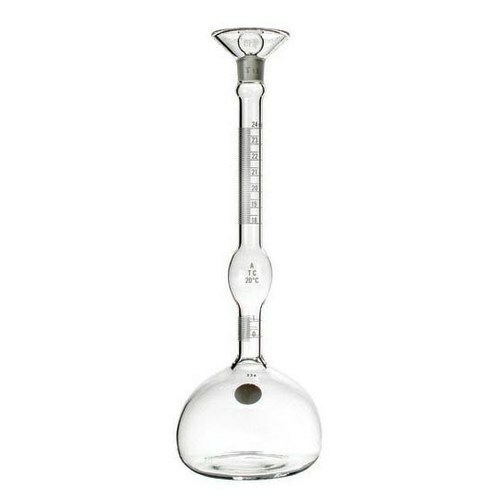 We are highly acclaimed in this industry for providing an optimum quality range of Le Chatelier Flask. Used for finding specific gravity of hydraulic cement. The long neck of the flask has at top a funnel of 50mm dia. in that fits a ground glass stopper. The neck has over-all 11mm i.e. upper portion is graduated from 18ml to 24ml with 1 ml graduation. Just at the bottom of the neck 1 ml capacity is marked in between there is 17 ml capacity bulb.